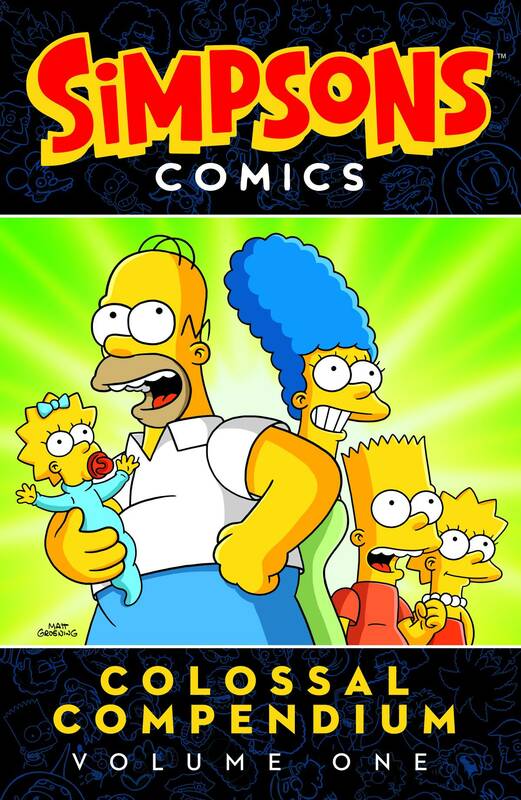 Simpsons Comics Colossal Compendium is a brand-new series of oversized collections featuring the very best Simpsons comics and stories gathered in one great big grab bag of fun. Spend a blue ribbon day with the Simpsons at the Springfield Fair; beat the summer heat with Homer Simpson; travel to a parallel dimension for an extraordinary Bartman, Stretch Dude and Cupcake Kid super team-up; enter the slightly skewed mind of Ralph Wiggum; and even venture into the future where the Simpson family might very well be responsible for saving (or destroying) the world! All that and much more await you... and it all begins with Volume One!